New James Bond: Mission Logs Signers Announced! Orders Due! 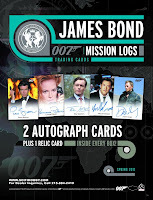 Rittenhouse Archives announced a number of new autograph signers today for its upcoming James Bond: Mission Logs set! There are 2 autographs and 1 relic card in every box! 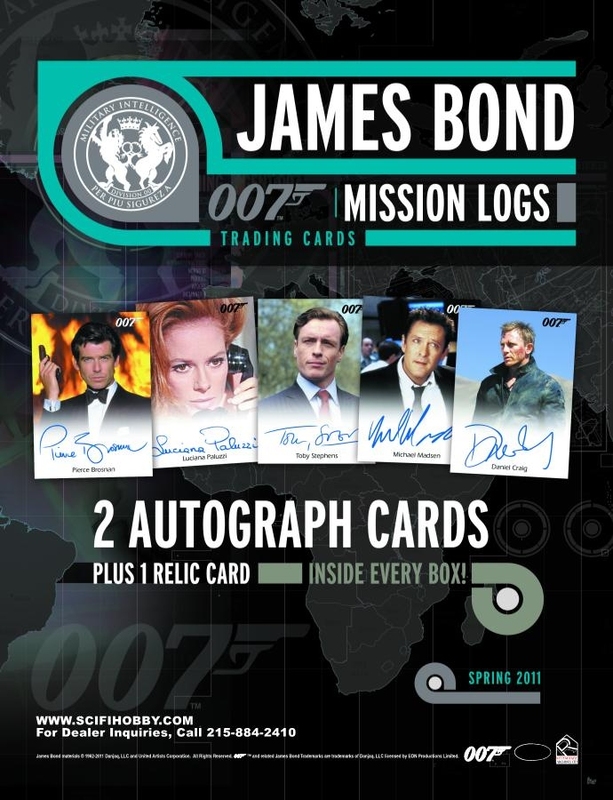 James Bond: Mission Logs are available for $61 per box or $709 per case (12 boxes) through next Tuesday, April 5th. We will be raising our prices to $62/box and $719/case on Wednesday, April 6th. Place your order today to receive our lowest prices! Pre-Selling Stargate Universe Season Two! Rittenhouse Archives just gave us the details on its upcoming Stargate Universe: Season Two trading card set! The set will be released in the "Premium Pack Box" format that Rittenhouse introduced recently with Spartacus and Lost Relics. 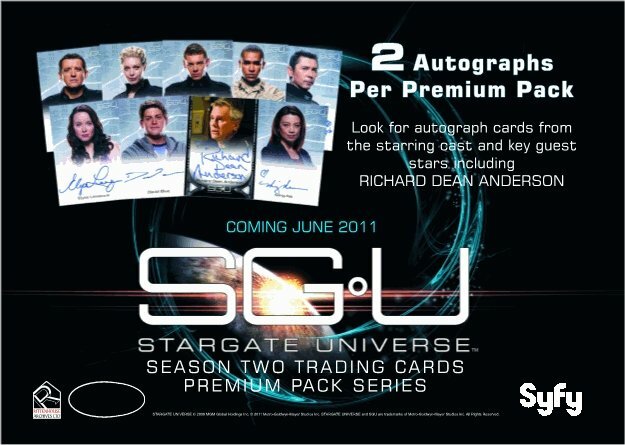 Each Stargate Universe: Season Two Premium Pack box contains 15 packs. Every pack contains 6 cards, including 2 autograph cards! That's 30 autographs per box! Signers include Richard Dean Anderson, Ming-Na, Lou Diamond Phillips, David Blue, Alaina Huffman, Brian J. Smith, Elyse Levesque, Louis Ferrera, Jamil Walker Smith, Julie McNiven, Sarah Mutch, Zak Santiago, Ryan Kennedy, and Glynis Davis! There are 20 Season Two Episode Synopses cards (2 per pack), each sequentially numbered to 400, 9 Secrets cards (1 per pack, #'d to 444), and 9 Destiny cards (1 per pack, #'d to 444). Stargate Universe: Season Two is expected to ship on June 15th. Boxes are $538 each or $516.50 when you buy two! 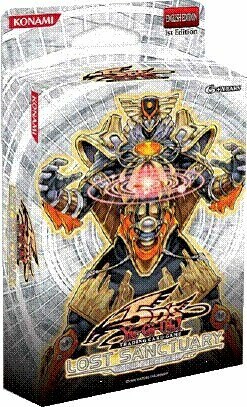 Yu-Gi-Oh Lost Sanctuary Structure Decks On Sale! We've just started accepting pre-orders for Konami's next Yu-Gi-Oh Structure Decks, Lost Sanctuary! Each Lost Sanctuary Structure Deck includes 37 common cards, 2 super rare cards, 1 ultra rare card, a rulebook, a game mat, and a dueling guide. Lost Sanctuary structure decks give Duelists control over the embodiments of the planets Mercury, Venus, Earth, Mars, Jupiter, Saturn, and the sun itself. These mighty monsters key off of special celestial cards like The Sanctuary in the Sky and Divine Punishment. Boxes are available for $51. Cases (12 boxes) are $599. Pre-Selling Star Trek Complete Next Generation Series 1! We are now accepting pre-orders for Rittenhouse Archives' upcoming The Complete Star Trek: The Next Generation Series 1 (1987-1991) trading cards. Every box will include 4 autograph cards! Signers include Brent Spiner, Gates McFadden, Levar Burton, Dwight Schultz, Michelle Phillips, Joe Piscopo, Corbin Bernsen, John Tesh, Nikki Cox, and many more! 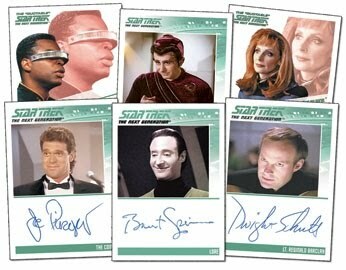 Also included are 30 sequentially-numbered Gene Roddenberry cut-signature cards! Each case contains a Biff Yeager (Chief Engineer Argyle) Autograph card. Customers pre-ordering 3 cases receive an authentic Gene Roddenberry Business Card Relic card. Customers pre-ordering 6 cases receive a Patrick Stewart (Locutus of Borg) Autograph card. Customers pre-ordering 18 cases receive a free Archive box! Pre-Selling L5R Before the Dawn & War of Honor! We recently began accepting pre-orders for two new Legend of the Five Rings products from AEG. The next L5R expansion, Before the Dawn, is expected to arrive in May. It is the first expansion that is legal with the upcoming Emperor Edition (the new base set releasing in Fall 2011). There are 156 new cards in the set, the final chapter of the Empire's fight against the armies of the champion of evil - Kali-Ma the Destroyer. Booster boxes are $99, booster cases (10 boxes) are $960, starter boxes are $48, and starter sets (Crab, Lion, & Phoenix) are $33. Click here to pre-order L5R Before the Dawn. War of Honor is a game of strategies and tactices for 2 to 4 players. The game brings a whole new dimension and dynamic to multiplayer L5R and is suitable for play with cards from the existing arc or older card collections. Players form and dissolve alliances, engage in political maneuverings, and wage mighty battles to determine which clan will triumph. War of Honor includes 4 Clan decks (Dragon, Lion, Phoenix, and Scorpion), a scoring board, markers, and movable tiles that give a different game play experience every time. Tiles for each of the other five Great Clans are included, making War of Honor fully expandable with your existing L5R card collection. The game can be played with more than 4 players if customized using L5R cards from your collection. 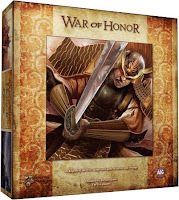 War of Honor is available for $44 individually or $169 per 4-box case. It is expected to arrive in June. 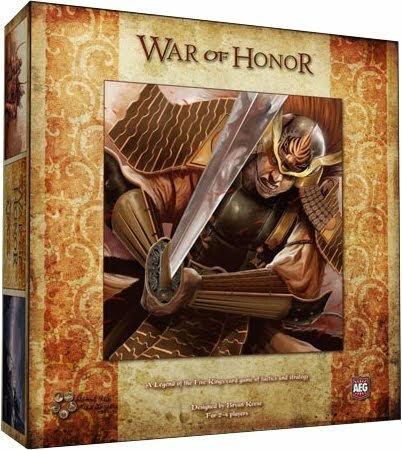 Click here to pre-order L5R War of Honor. Yu-Gi-Oh Extreme Victory On Sale! We've just begun taking pre-orders for the next Yu-Gi-Oh expansion, Extreme Victory. The new set is due out on May 10th. Booster boxes are available for $59 each. Booster cases (12 boxes) are available for $679. We are encouraging our Yu-Gi-Oh customers to get their orders in early, as Konami has sold out of nearly every recent Yu-Gi-oh product very quickly. Extreme Victory takes Synchro Monsters to their ultimate extreme, with the new T.G. (Tech Genus) Monsters. T.G. Decks are specially designed to crank out Synchro Monsters at a fast and furious pace, and they can do it over and over again. But Duelists can also put the smackdown on Synchro Monsters once and for all! Meklords are a vast array of hungry machines. When they see a Synchro Monster, they simply devour it - and use its powers for themselves. This set also includes new cards for many popular championship decks, including Gladiator Beasts, Blackwings, Six Samurai, and more. There are 100 cards in the set (48 commons, 20 rares, 14 super rares, 10 ultra rares, and 8 secret rares). Click here to pre-order Extreme Victory! Yu-Gi-Oh Dragunity Legion Shipping Tuesday (Order Now To Receive Our Lowest Price)! 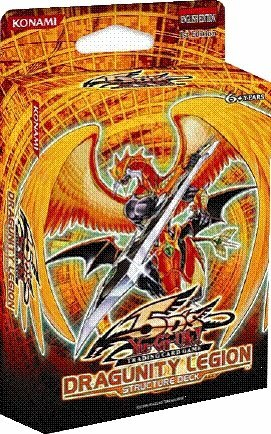 Yu-Gi-Oh Dragunity Legion Structure Decks are expected to arrive on Tuesday, March 8th! Almost every recent Yu-Gi-Oh product has sold out quickly, so don't miss out! Order by Tuesday to receive our lowest price. On Tuesday we'll be raising our box price from $51 to $52 and our case price from $599 to $609. Each Dragunity Legion Structure Deck includes 37 common cards, 2 super rare cards, 1 ultra rare card, a rulebook, a game mat, and a dueling guide. Dragunity monsters are a brand new monster theme combining Celtic Dragons with Winged Beasts from ancient Rome. Highly disciplined and militaristic, Dragunity Decks work because the bigger Dragunity monsters can wield the smaller ones as living weapons! (More Dragunity monsters can be found in Starstrike Blast and Hidden Arsenal 3!) Dragunity Legion includes 5 brand-new cards unavailable anywhere else. Pre-Selling James Bond: Mission Logs! 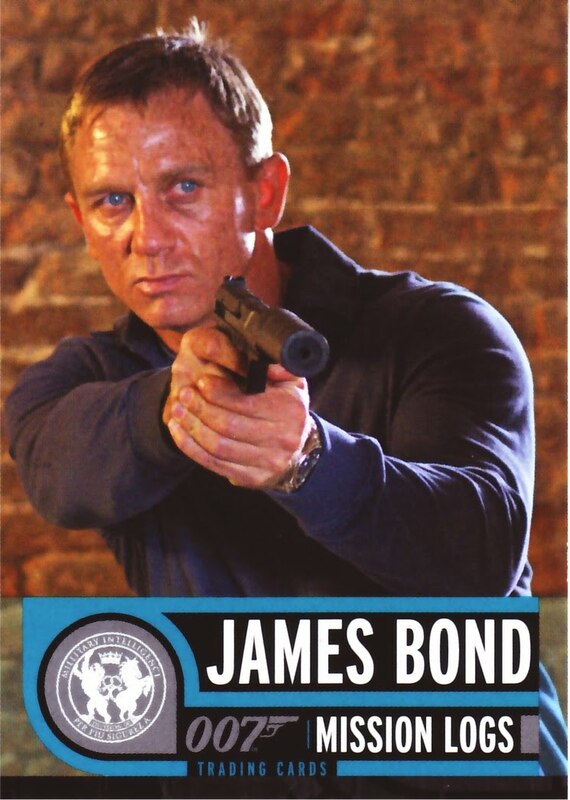 Rittenhouse Archives has just released the details of its upcoming James Bond: Mission Logs trading card set! Every box will include 2 autograph cards and 1 relic card! Pierce Brosnan and Daniel Craig will be signing for this set! Boxes are available for $61, cases (12 boxes) for $709, and binder cases (4 binders) for $82. Click here to order. The base set includes 63 cards featuring the action and excitement of all 22 classic James Bond films from Dr. No to Quantum of Solace! And Many More First-Time 007 Signers! Lost Relics Trading Cards On Sale! Rittenhouse Archives has just announced plans to release a Lost Relics trading card set on May 11th! Lost Relics will be a premium pack product, similar to Spartacus Blood and Sand. Each box will include 15 packs, each of which contain 4 cards - 3 Relic cards and 1 Autograph card! Only 250 boxes will be produced! Boxes are available for $538 each. As a bonus, each box will include a Relic Card featuring an authentic piece of the Oceanic Airlines Flight 815 airplane fuselage wreckage, sequentially numbered to 300!